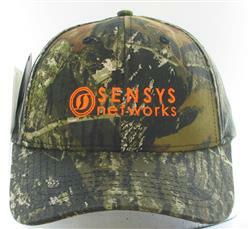 Medium profile six panel structured cap with a Mossy Oak pattern and the Sensys Networks Logo in orange. Camouflage twill and fabric strap with two piece velcro. Available Colors: Camo as shown.